One of the great marvels of modern technology is the ability to meet and learn about people you may never have had a chance to. Sometimes they are across the globe. Sometimes they are in your own backyard. I got to meet--online anyway--Linsey A. Daman. She is an entrepreneur, dancer, and fellow writer. I don't know many people who do not overcome obstacles. But, oddly not everyone chases their dreams. 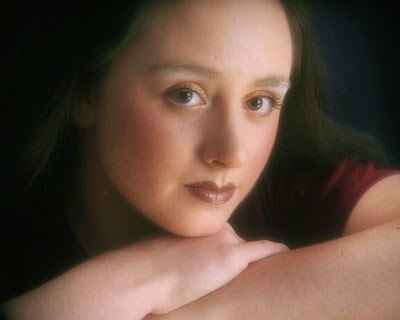 Linsey has not allowed her obstacles to stop her from chasing her dreams--something we all should learn to do. 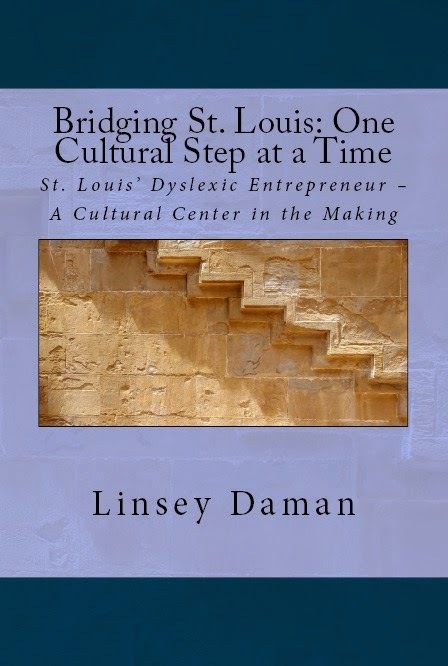 Writers' Lens: When you started working on Bridging St. Louis: One Cultural Step at a Time St. Louis' Dyslexic Entrepreneur, what was the focus of the book? Linsey A. Daman: Encouraging all women to achieve their professional objectives and personal aspirations was my prime focus of my first book, Bridging St. Louis. As a woman entrepreneur, the odds aren’t always in our favor so this book demonstrates several examples of how to turn the tables on gender stereotypes in the workplace, while providing tips on overcoming the “glass ceiling” often placed on women in the office. WL: What kind of obstacles did dyslexia throw into your way growing up? How did you overcome them? LD: Repeating a grade based on my reading scores was threatened; luckily this never came to pass. A special reading instructor was assigned to me for the year and after proving my capability all moved on without further ado. WL: How do you encourage others to overcome the barriers in their lives? LD: Eventually I could see myself serving on a board for fellow dyslexics but for now hopefully the examples mentioned in Bridging St. Louis would serve as motivation. WL: What attracted you to writing? LD: Enrolled in both French composition and French literature at Webster University, St. Louis is when it became clear that I enjoy composing my own literary work. I’ve always known I enjoyed creative writing but these two courses solidified my desire to be an author in any language. WL: What kind of writing do you like to write? LD: Poetry would be my favorite being relatively short, crisp and most often directly to the point or alluding to the point. Prose and short stories would then follow, again being fairly condensed and easy to read when pressed for time management. WL: What do you like to read or watch for entertainment? LD: LOST TV Series is my all-time favorite television show! Anything island-themed or tropical is fair game in my opinion. Historical documentaries are also top of my list therefore Channel 9 is often found playing on my set. On occasion, I’ll listen to audio books regarding business management, social networking and financial planning. I’ve also been known to listen to short stories while walking hence two birds, one stone. LD: Bollywood dancing (Indian-themed dances) is my new favorite form of dance but I also incorporate ballet into my workout as well. Periodically, I’ll include some Flamenco Spanish dance into my routine, but typically I float between the first two mentioned. I’ve been dancing before I could practically even walk so clearly dancing is in my blood. Regarding Bollywood, I’m drawn to the musical, performing and cultural elements that are found in this style. It is one of the most artistic dances that I’ve seen to date. WL: What kind of books are you working on now? LD: A Belizean-themed action and murder mystery is what is cooking for my next book. Based loosely on my travels to Altun Ha, the ancient Mayan ruins found just outside of Belize City is the enigmatic setting for my twelfth publication. WL: What are your current projects? LD: Expanding my company to the east coast is my prime objective. Continuing with higher education is essential for me so this seems like the most logical transition while actively perusing my academic career. WL: What is your writing schedule like? LD: Honestly it’s hit and miss due to being an entrepreneur. Basically, I try to write when I can which basically goes for all current projects, tasks, etc. WL: If you could have coffee with an author from any time period, who would you choose and why? LD: Canadian Author, Gordon Korman author of “Son of the Mob” written in 2002 would be my first choice for a coffee date. Residing in New York, he has sold more than 17 million copies of his 85 books in a career spanning three decades. Clearly he knows a thing or two about book sales! Perhaps we could discuss over a cup of joe his background and motivation for composing such a story. WL: How could my readers learn more about you? LD: As most entrepreneurs, I have a professional site which can be found at http://cacstlouis.com. LinkedIn is another great way to connect with me; feel free to add me to your professional network. Personally speaking, I’ve launched a specialized site titled “Single Successful CEO” http://singlesuccessfulceo.com which doubles as a single’s site. Accompanied by a blog http://singlesuccessfulceo.blogspot.com containing additional photos, interviews, etc.